I was too busy for a lot of things and have started feeling guilty for many people……. 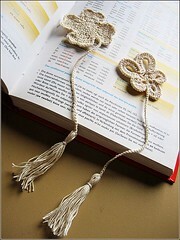 :-( I promised Ashley of my clover bookmark pattern a while ago, but I didn’t manage to do it in the last few weeks. Since my program is still running hard to get some results, I think I can spare some time to draw a mini diagram. And, here we are. In the diagram, there is only 1/4 of the clover, which is a heart-shape. There are totally 5 rounds in this pattern. The first round will be 12dc(i.e.3ch+11dc) in a circle. And the second round is inc on every stitch, thus 24 dc. The last three rounds are a little tricky. I’ve marked the order of stitches with green, red and blue lines respectively. yay thanks for explaining it :3 I don’t understand those charts….